Vesaro complete Sim-Room hardware and software setup. Each simulator will be configured to accommodate multiplayer race staging. 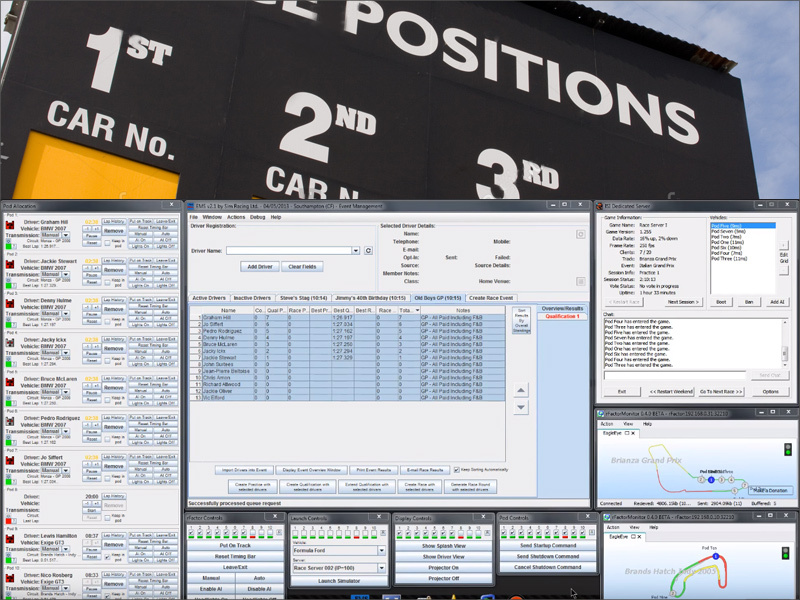 The control will be run from a single PC control station allowing full race management to create the most immersive and exciting race experience for your clients. A separate leader board display will show details of the players lap timing and overall results. Sim Room on-site Setup & Training - Full on-site setup of the Sim room hardware and Software with complete networking and setup of all included systems. Full system test and handover training for your staff. You will be left with a fully working Sim Centre and trained staff. All flights, Accommodation and expenses for our team are included in price.